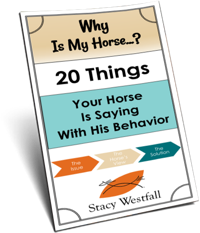 Horse training requires long term thinking on bad days. My body hurts. I’m moving slow. I’m thinking slower. My time zone change experiment three weeks ago, where I slowly changed my body clock to match Australia, worked. I arrived in Australia in pretty good shape. Coming home I went cold turkey. I did nothing to switch my body back…and now I feel it. My body is caught somewhere in between time zones. But in the barn, the horses wait. I’ve committed to training them. So I forced myself out the door, one foot in front of the other. I started slow and never changed speeds. But I did it. Did anyone break a sweat? Do I feel better after doing it? No. My body hurts. I’m tired. Drip by drip the training adds up. Six months from now I’ll be glad I did it even though today I’m not as sure. Thank you so much for all your great information. I was inspired by your bridleless ride on Roxy years ago and have just now started my own mare. 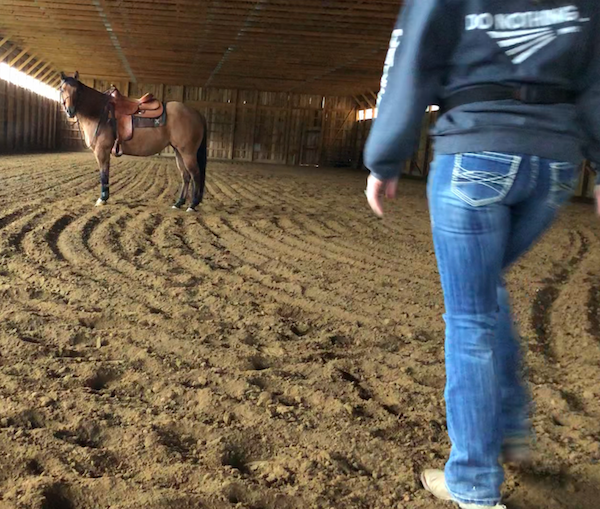 I’ve watched all your DVDs and all your YouTube videos, and thanks to your tips, my filly is amazing both on the ground and under saddle. Honestly, she is the best horse I’ve ever owned. But I struggle with one thing. I only own my mare and so I trailer her alone quite often. I have followed all your trailer loading advice, and she will be perfect… Until I haul her by herself. And then she won’t get in the trailer again and we have to start all over. Do you have any advice for this? I have about one event per month right now, but that will increase. And it is frustrating when we spend 3 weekends a month in trailer loading practice, only to fall apart after one ride. It sounds like right now you haul her to events once a month. Is that correct? My advice would be to start hauling her more random and not just to events. For example, haul her to the grocery store, do your shopping and haul her home. She will experience trailering without a ton of work on the other end of the trip. Aim to do this once a week for a while. Also, if she is giving you trouble, feel free to make a video of it and load it on Youtube, if you’re ok with me using the video in a blog and giving you tips we could try that also. You are amazing Stacy and I’m so glad you came to Australia and I got to meet you. I’m really loving your dvd’s too. I hope you had a great time and you feel normal again real soon! You are amazing, when I come back from Australia I am useless for about a week until I get adjusted. Hang in there, this too shall pass. Aw, thanks! Oh, a week. I didn’t know how much time to expect. I do keep thinking ‘this will pass’. Thanks for the tip! You have a great way of touching upon things that I happened to be struggling with at the same exact time. It doesn’t really matter how tired I am because if I don’t ride those horses and put it off, I feel so disappointed in myself the next day. The horses also suffer from my absence. 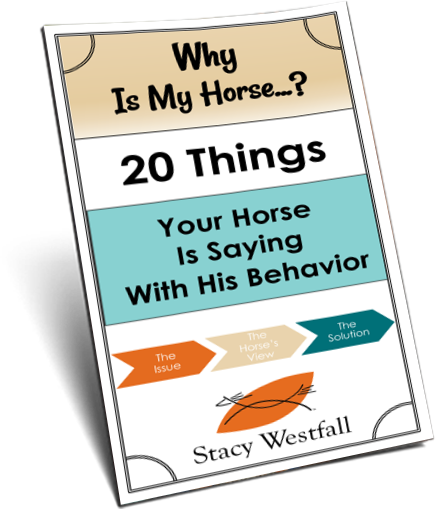 It’s better to go out and put 20 minutes on a horse then it is to just not ride them at all. Go out there and accomplish one thing at least and then teach the horse a good lesson by giving them that release of being done even if it’s a short ride. Exactly! Isn’t it interesting how many similar experiences we all have? You are an inspiration to all. Love what you do….love how you give so much…love your passion. Also face the sun and get some daylight when you change time zones. Sunlight will help set your natural rhythm. Rest when you need to. You and your horses are already amazing.